Amazing!!!!!! Just read through it! This NEEDS to be a sticky thanks for everyone who contributed to this study it helps the community out so much! Thank all of you for your time, money and dedication. If this isn't sticky-worthy, I don't know what is... so it's now a sticky! Huge thanks to all involved in this test, and thanks for sharing it with the community! great read should clear up a lot of stuff floating around online and thanks to all who contributed. Doug (Suprafied) did all the heavy lifting and deserves the lion's share of the credit. A+ contribution! Thanks to all players involved. Awesome review and thanks to all who have contributed. I'm glad that I switched back to the V160 fluid from RP. Thanks for the study great info there! Thanks to all you guys, Doug, Chip, John, Craig, and Ken, for doing this and reporting results to the community. I get peace of mind from knowing I'm taking proper care of the hardware. Thanks to all the parties involved in getting this done! Really great information!! Not driving and/or modding a Supra is like not banging your hot, horny girlfriend/wife in hopes she'll be more appealing to her next boyfriend/husband. Definitely a big thanks for going through the trouble! Could you post up a pic/part # for the Toyota ATF (as to not confuse it with the Toyota*T‐IV*ATF*fluid)? The Toyota ATF used was T-IV. "Anyway, it just takes desire, skill, money, and maybe a kidney"
Wow - most excellent writeup. Thank you for all of you all's work in getting us these answers. Do not have this joker tune or perform work on your car. Period. It's been a GREAT 15 years here on Supraforums. Good write up and thank you for your time and efforts. 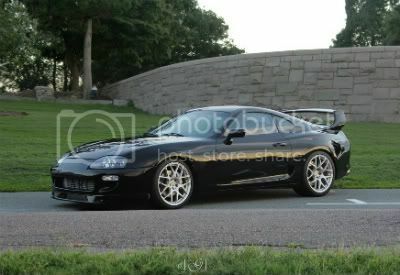 So I have only ever used RP in my 93 Supra TT that see's about 1800Miles on street and 1000Miles on track per year. Shifts great, never had any grinding issues. Should I continue using RP or give the V160 a go? great write up, so much information and facts not just snake oil stories!. K maybe I'm missing something. But I thought "Toyota V160 fluid" was a different ATF and hence a different category?